Bupa’s Craigbank Care Home’s annual summer fete has been hailed a huge success with the event helping to raise extra funds for the residents’ activity fund. 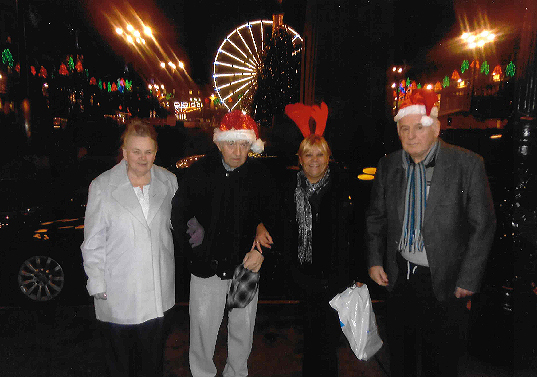 Staff and residents at the home on Glasgow’s Saracen Street were thrilled to raise more than £500 from the day. The day of activities included raffles, tombolas, bottle stalls and cake stands while entertainment was also provided for kids with a treasure chest hunt, face painting and an egg and spoon race. Local singer, Maggie Dee was also in attendance – alongside a Line Dancing troupe who performed for the guests during the afternoon. Sandra Reynolds, Home Manager of Bupa’s Craigbank Care Home, said: “The fete was a great success, with lots of visitors attending from the local community creating a really positive community feel. “Events like these are a fantastic way to link with local people and invite them into the home, ensuring residents can socialise more within the wider community. Staff members, residents and family members are already planning a get-together to discuss how to use the profits from the fete. Sandra added: “At Craigbank Care Home, we aim to ensure our residents have the best quality of life which is why we let residents decide what they want to spend the activities fund on so that they can do something they truly enjoy. “Our activities and entertainment go down a storm with residents so we make sure we put as much emphasis into our program as possible and let them decide what they want to do. Craigbank Care Home is already looking forward to its next fundraising event and hopes to attract even more visitors to the festivities.